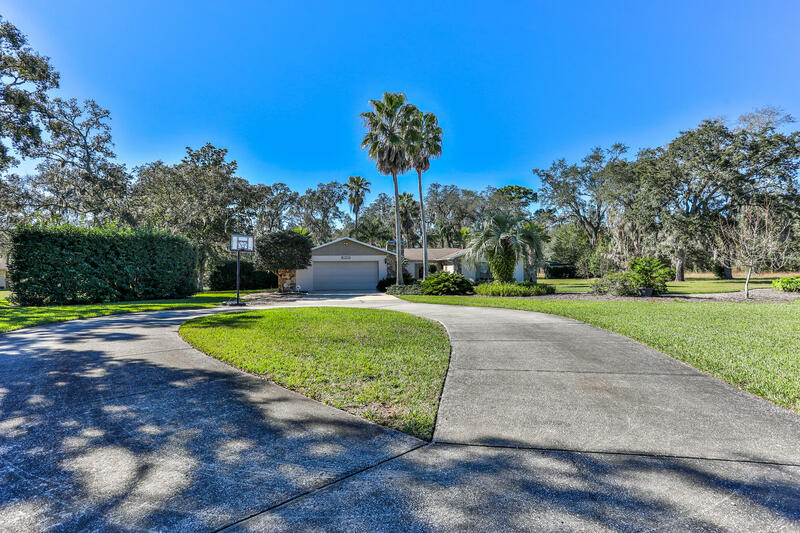 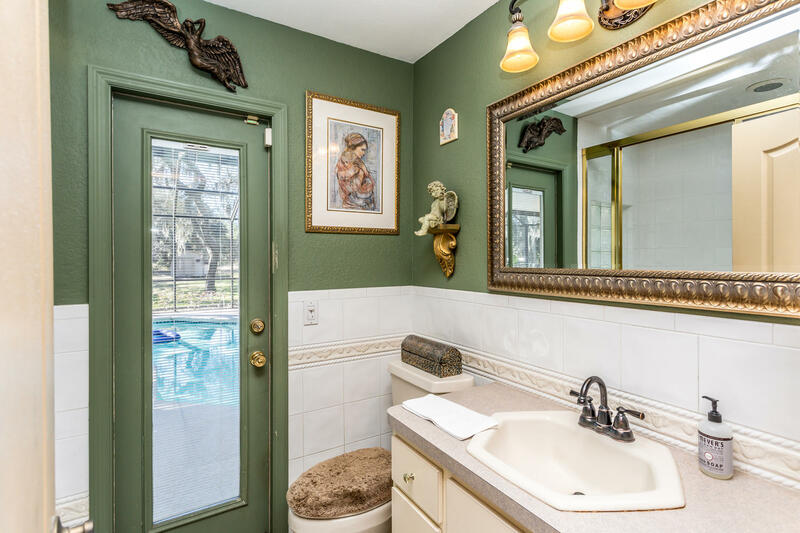 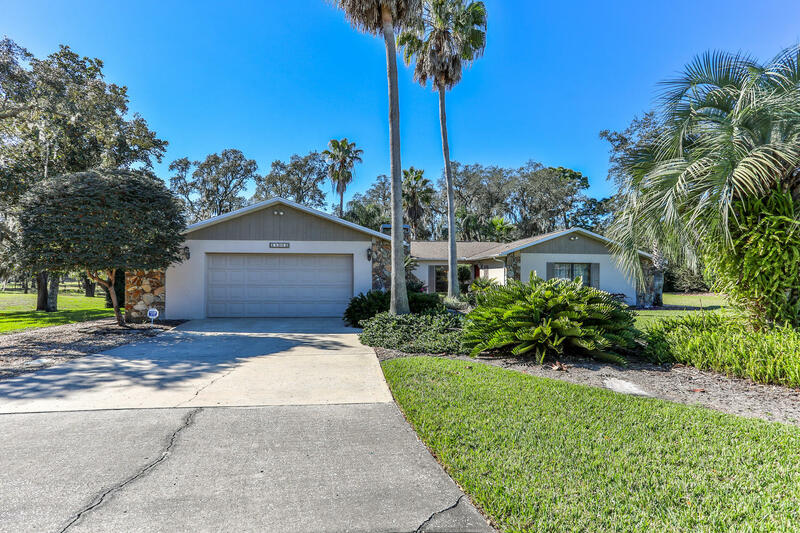 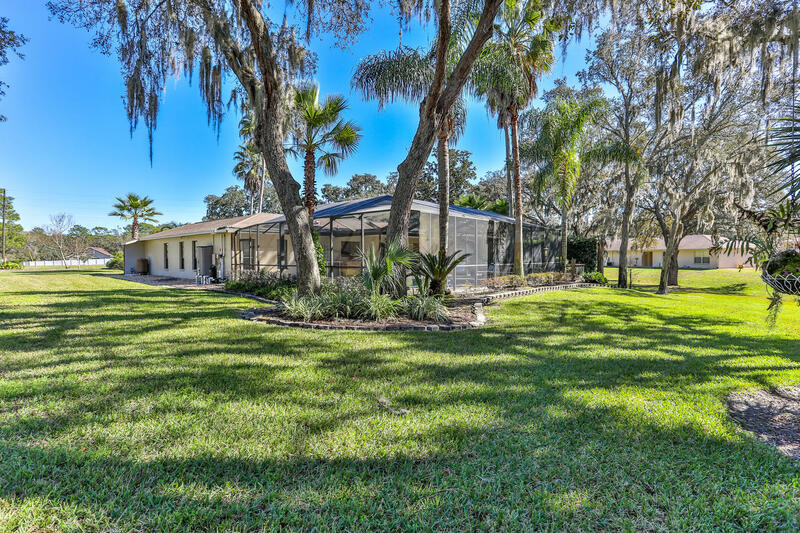 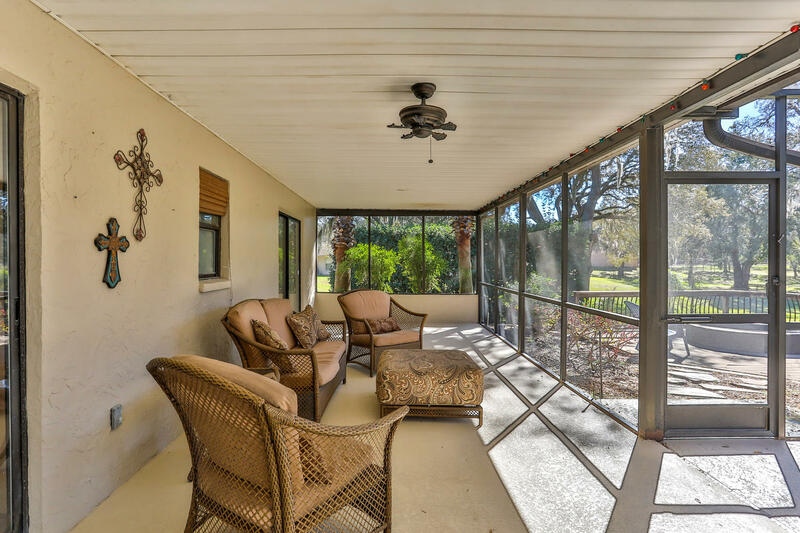 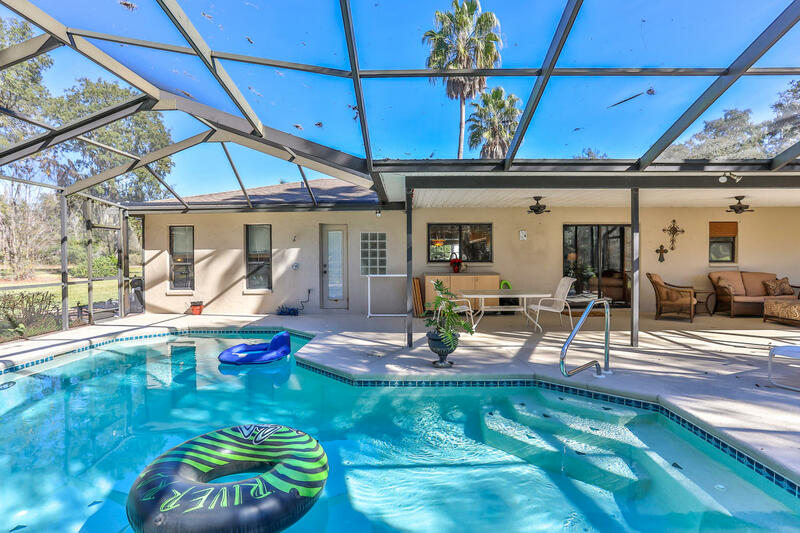 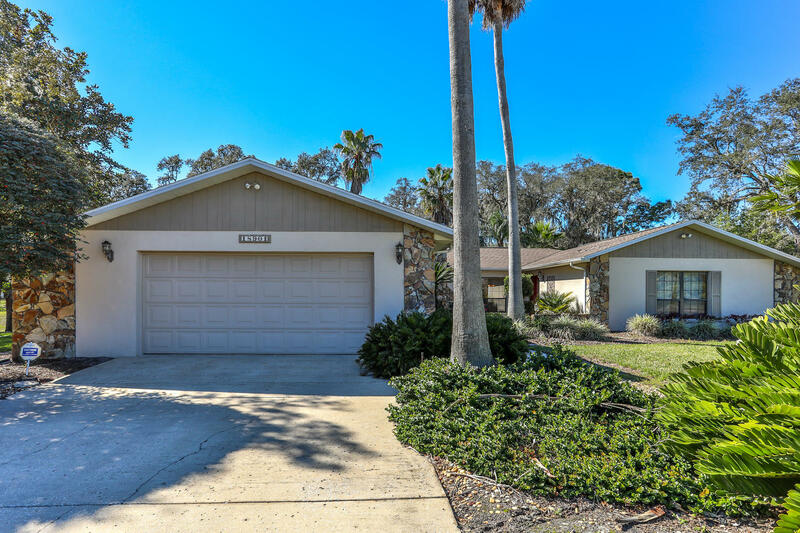 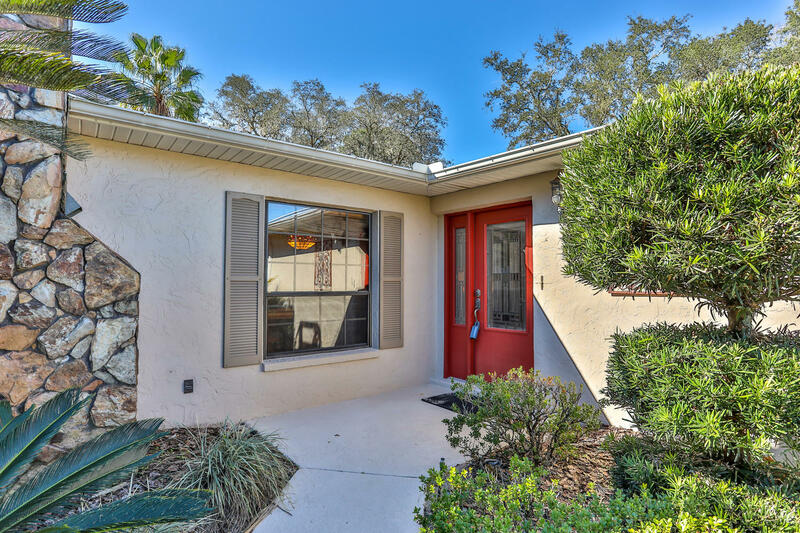 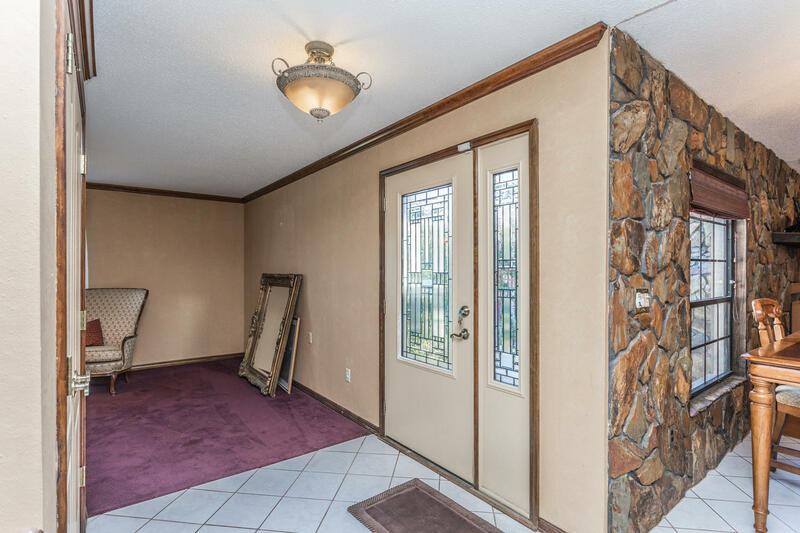 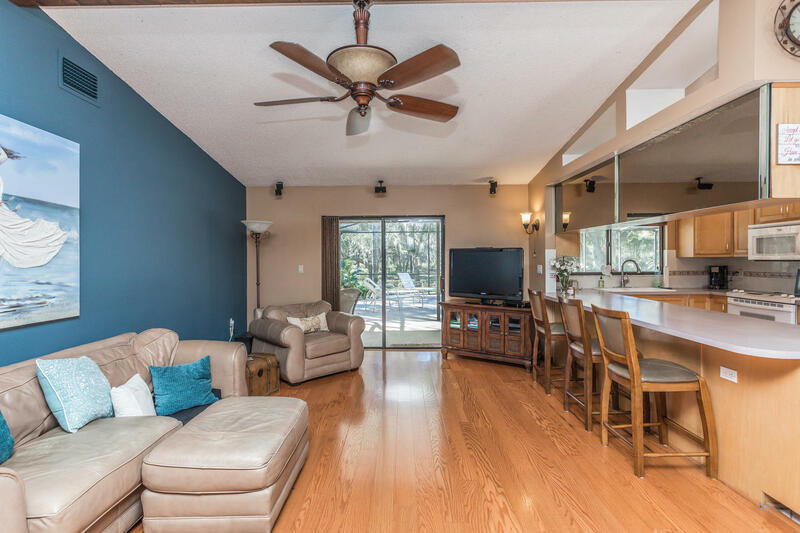 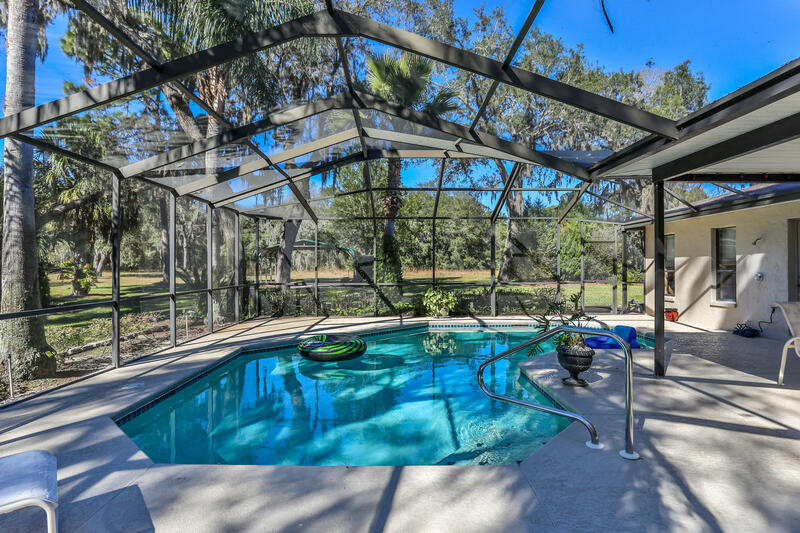 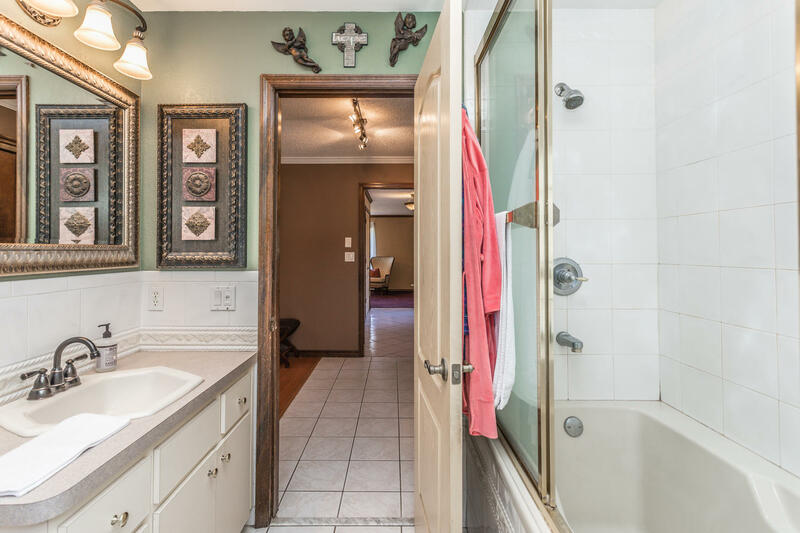 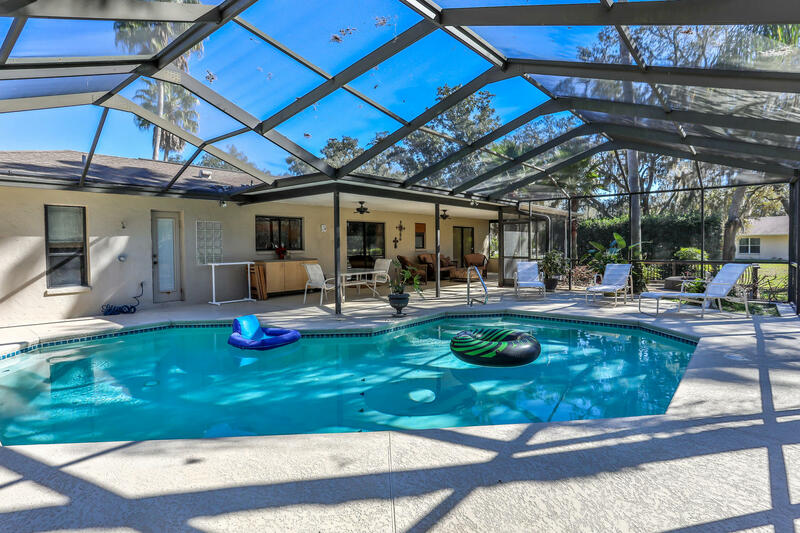 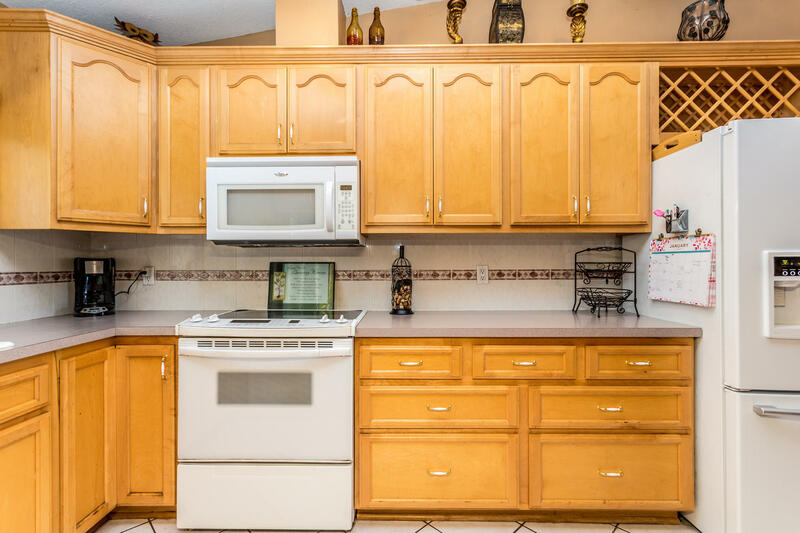 Serenity awaits you in this lovely 3 bed, 2 bath pool home in Hudson! 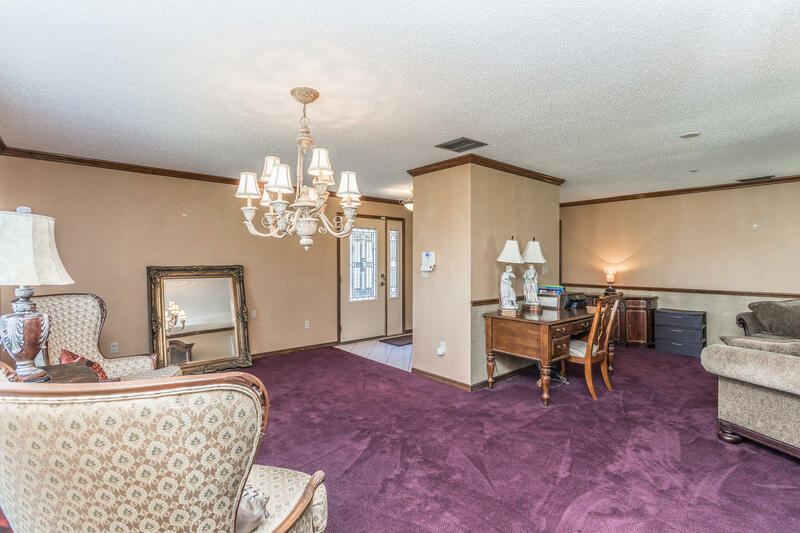 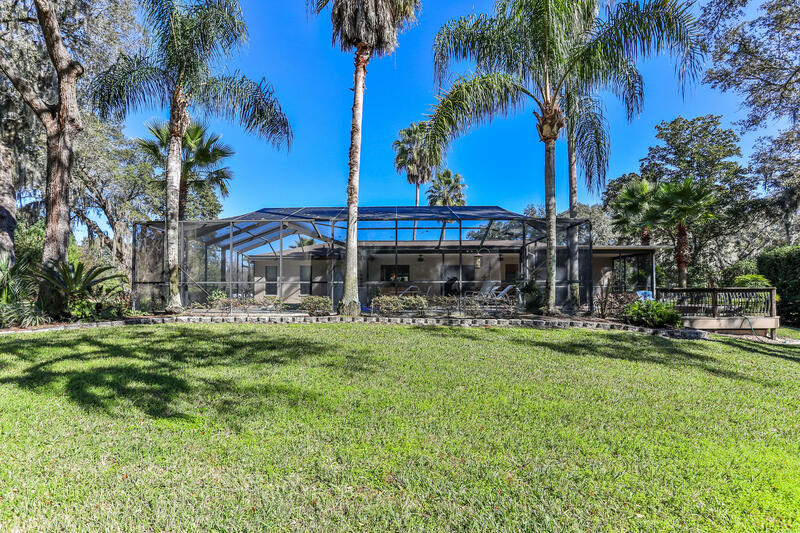 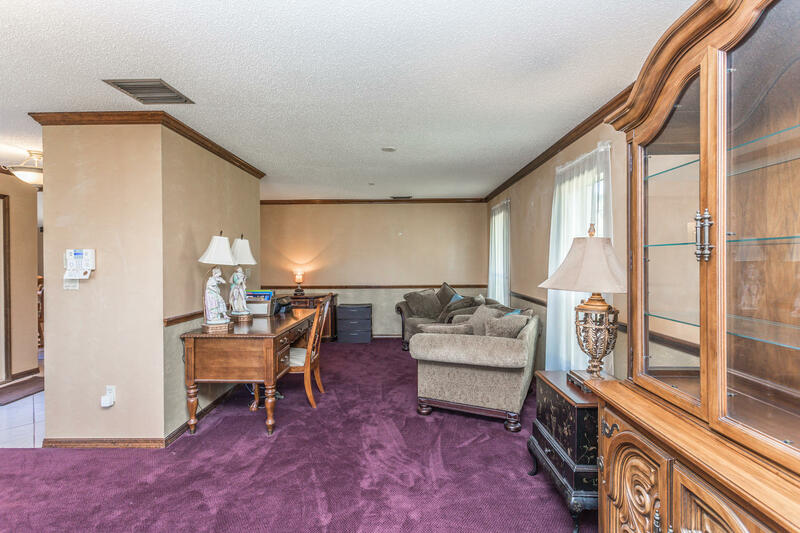 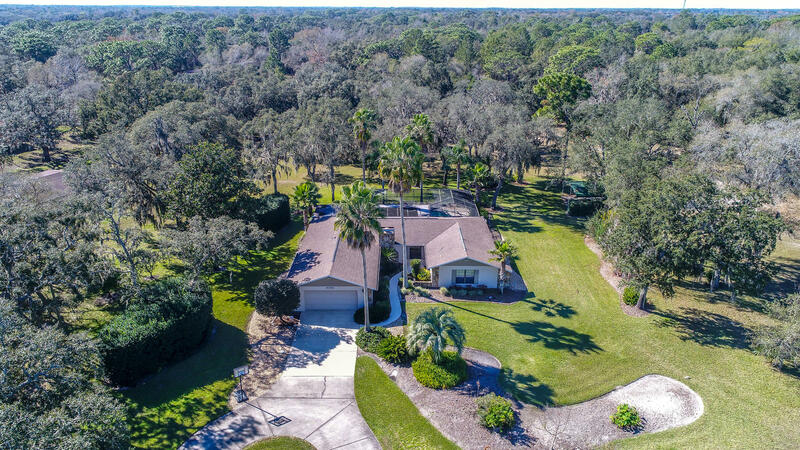 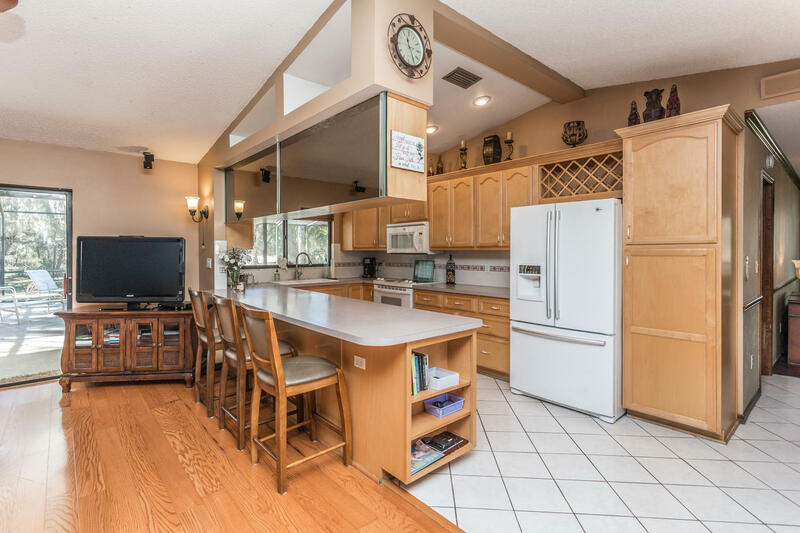 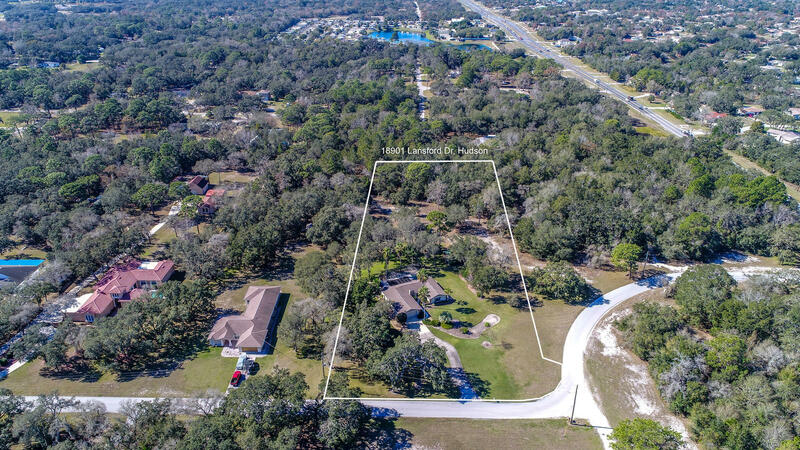 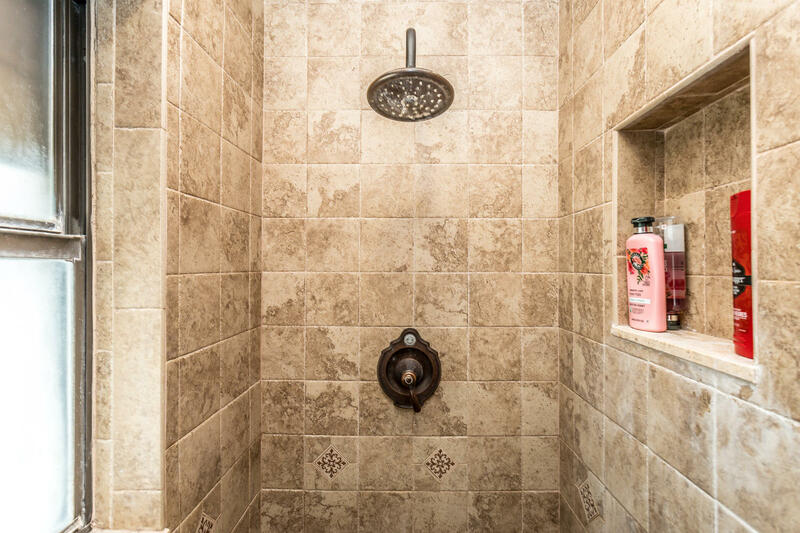 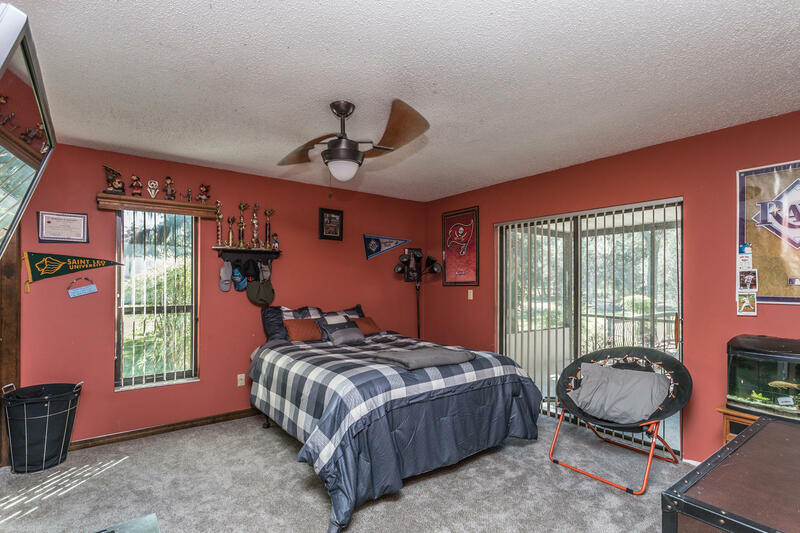 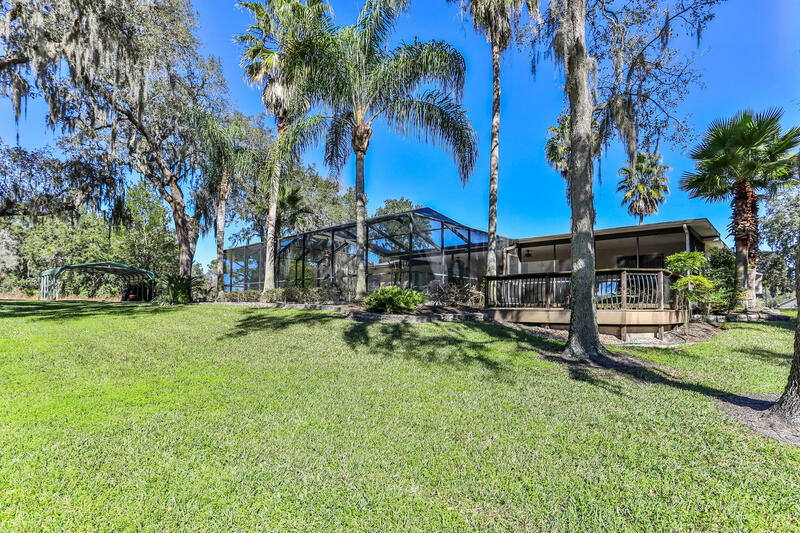 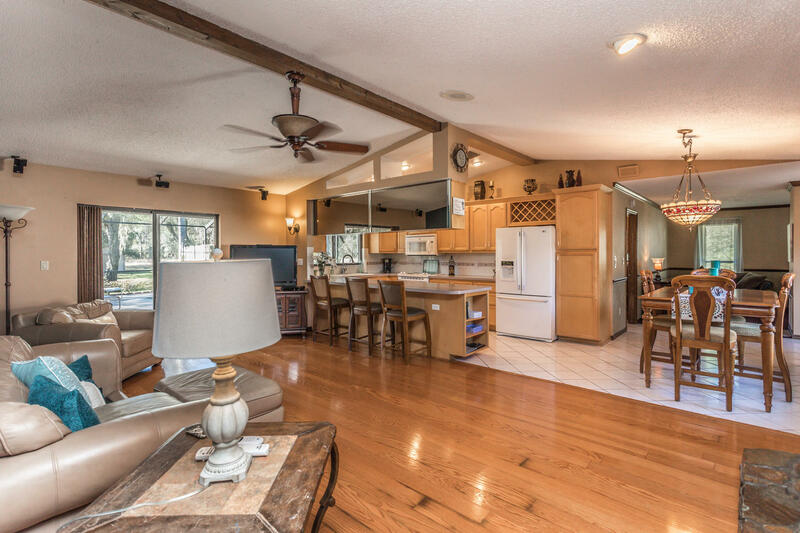 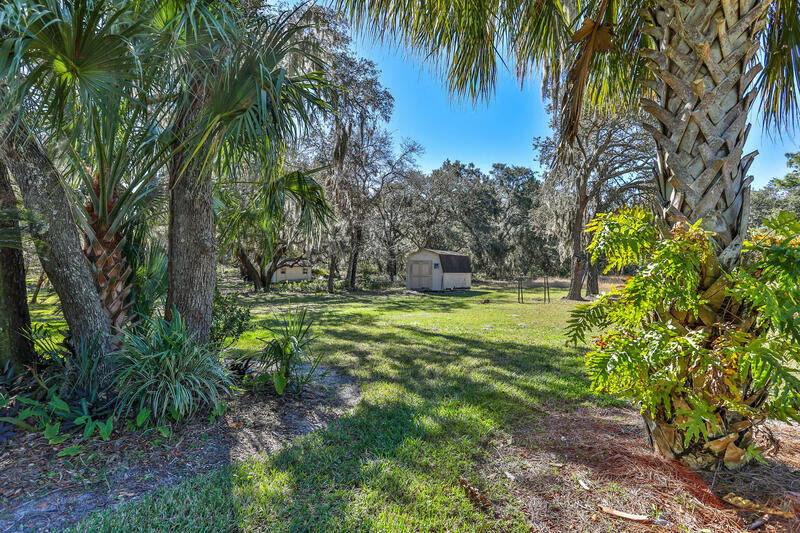 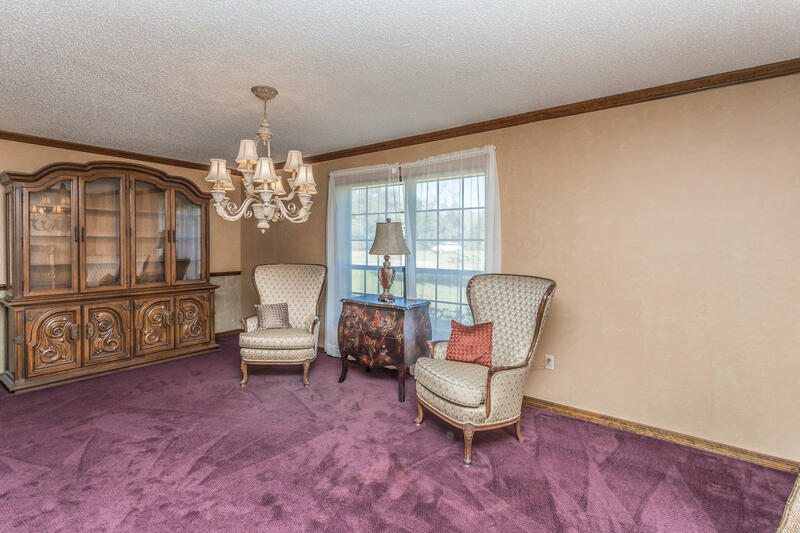 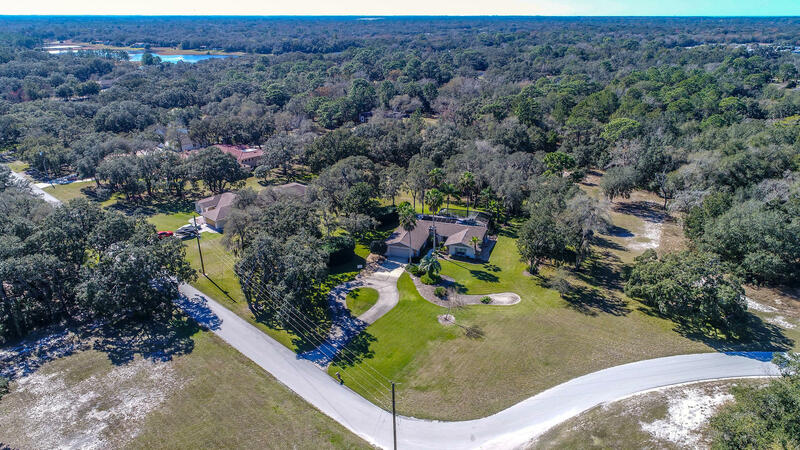 It sits on over 3 acres, partially wooded, in a quiet neighborhood with no HOA fees. 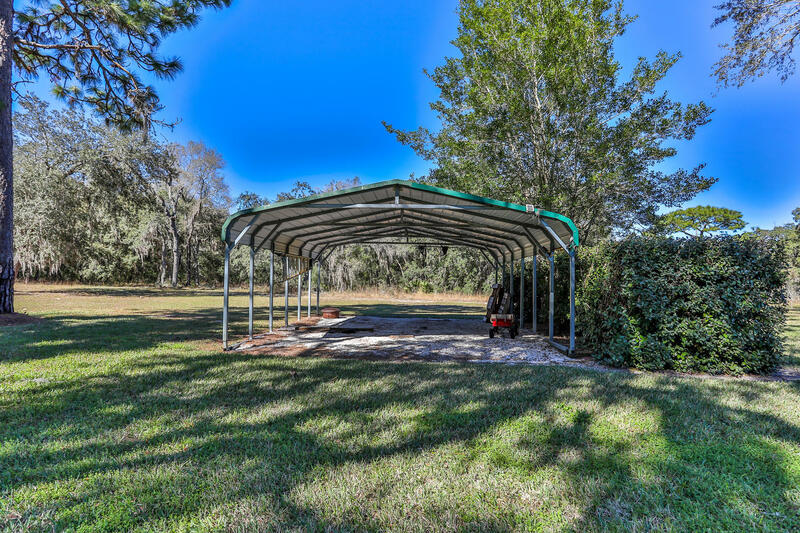 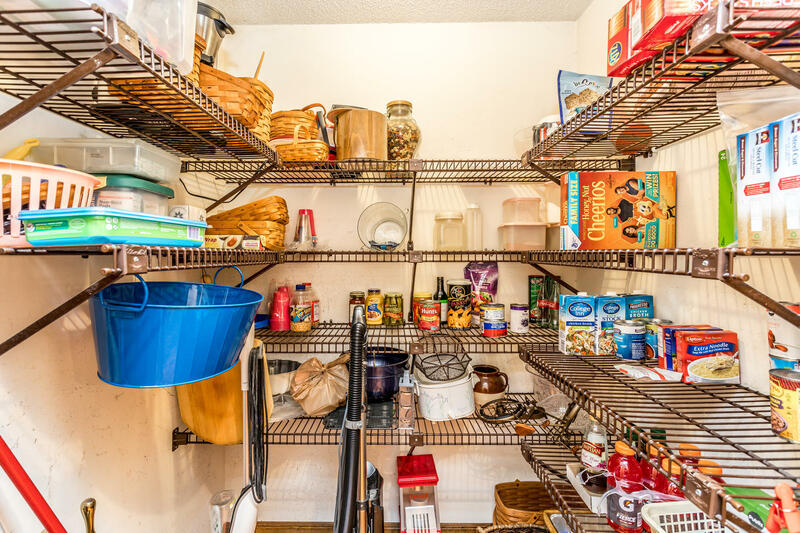 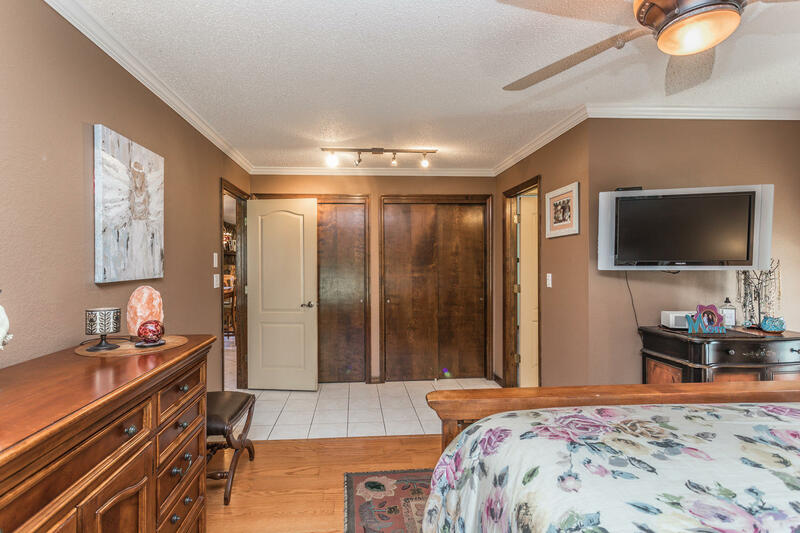 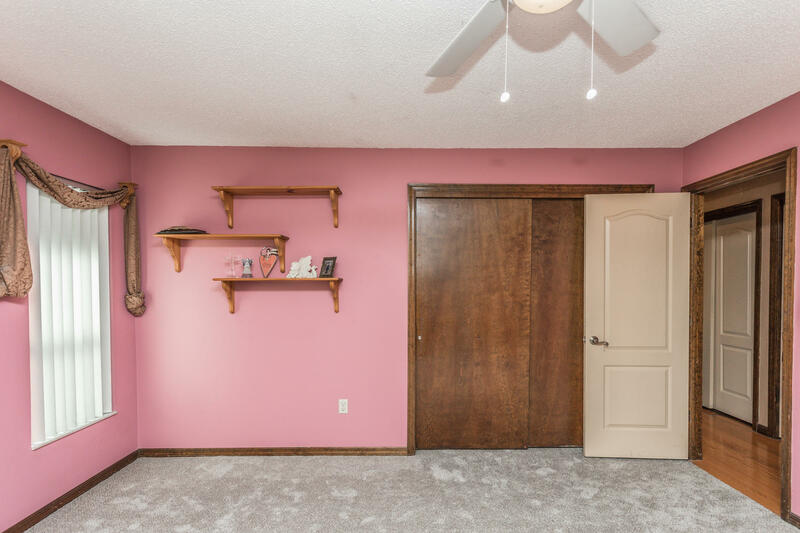 Plenty of parking with a 2 car attached garage plus a detached carport, plus a shed for storage. 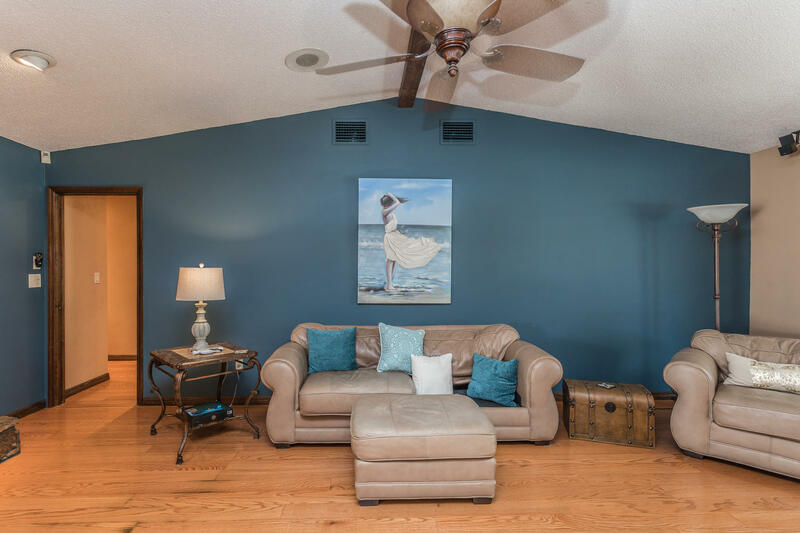 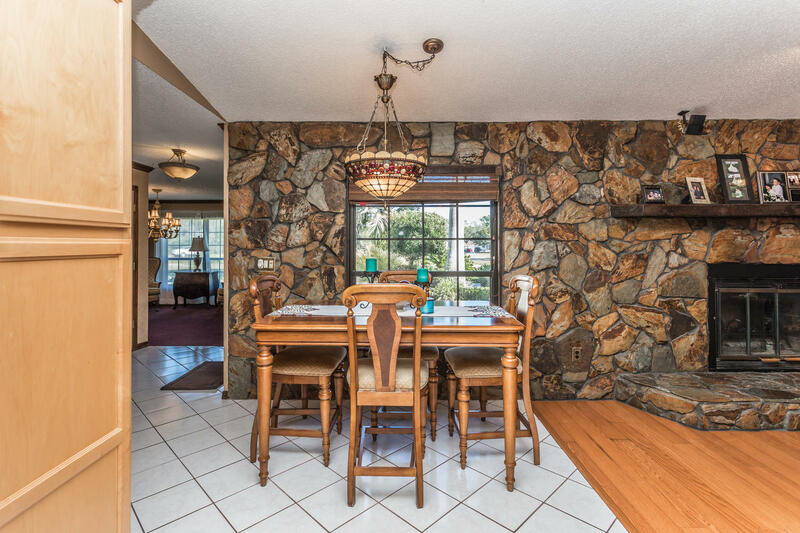 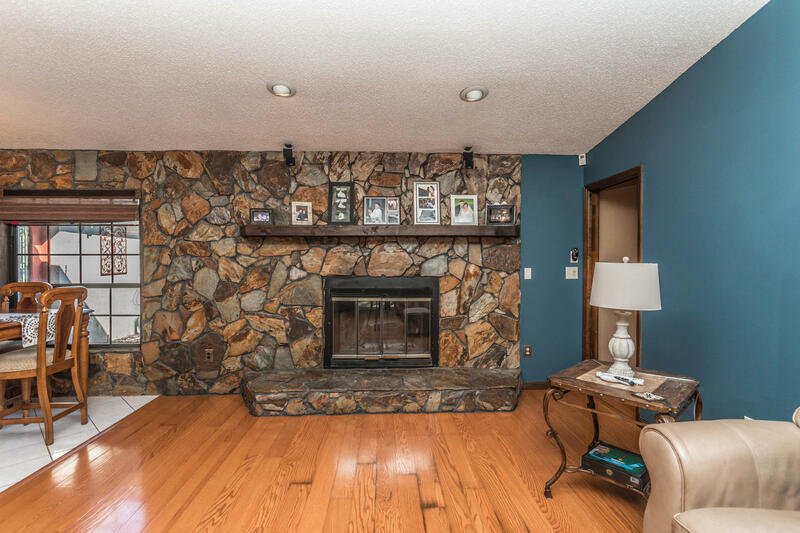 Inside, you'll find vaulted, beamed ceilings and river rock accent wall with fireplace in the family room. 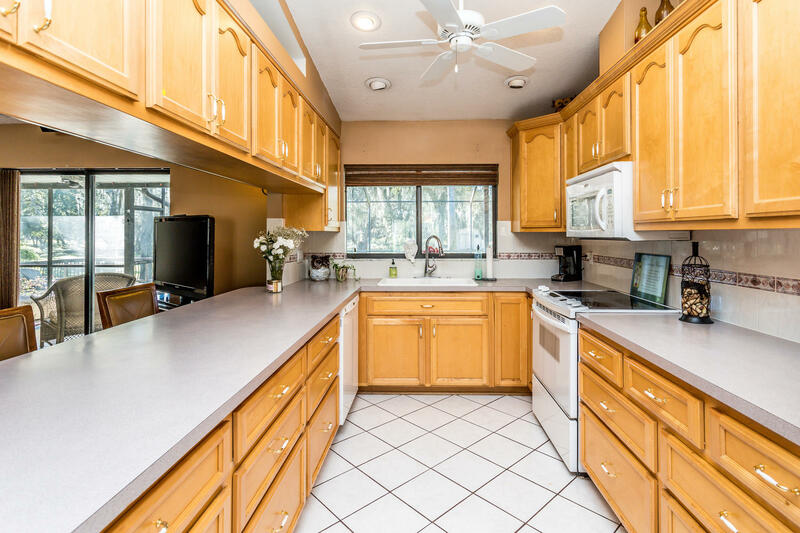 Wood cabinets, built-in wine rack, and walk-in pantry in the kitchen. 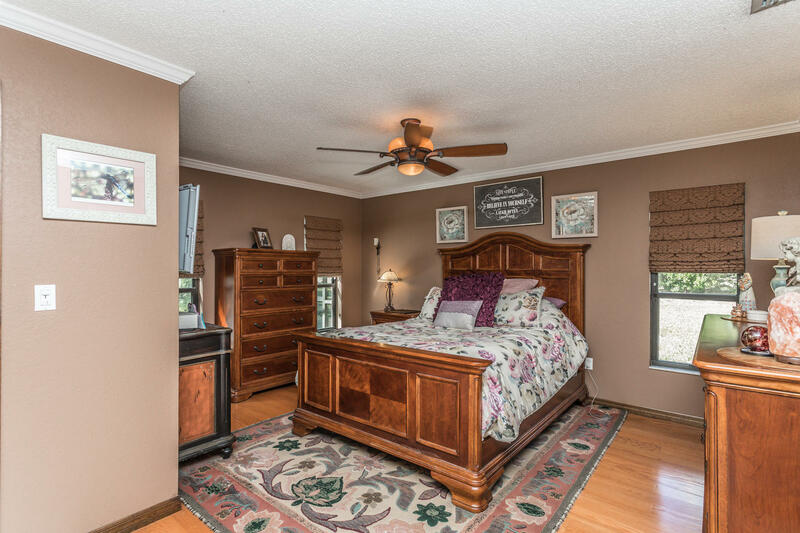 The master suite offers direct access to the pool area. 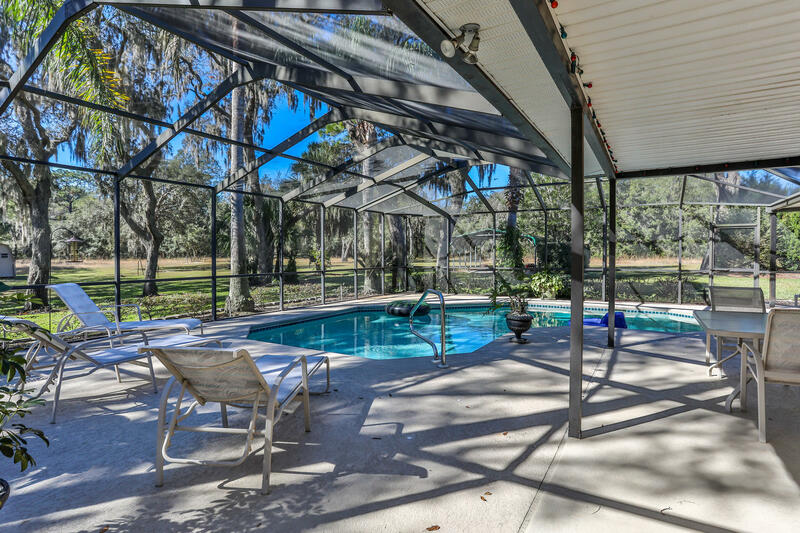 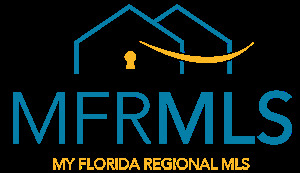 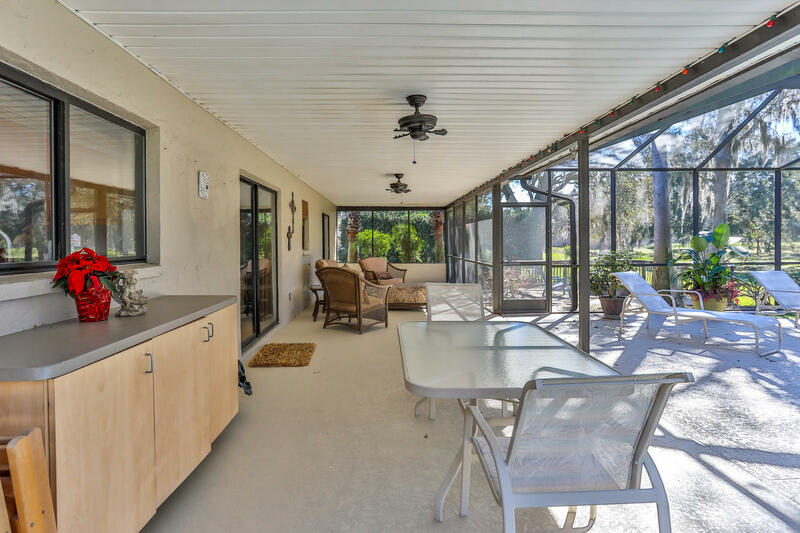 The screened lanai and in-ground pool offer a great spot to enjoy the in a view of the property. 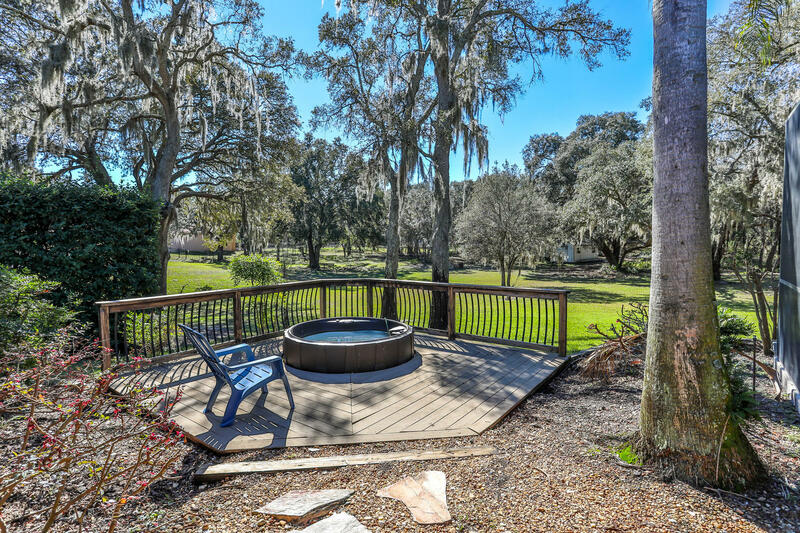 Or step out to the private wooden deck for a dip in the hot tub! 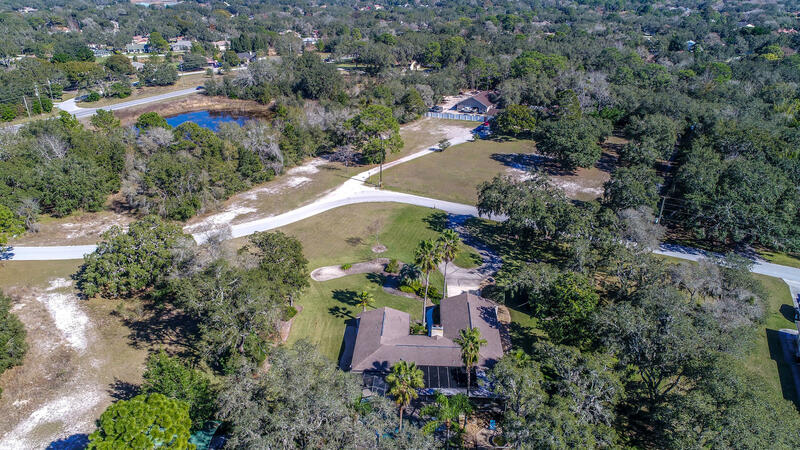 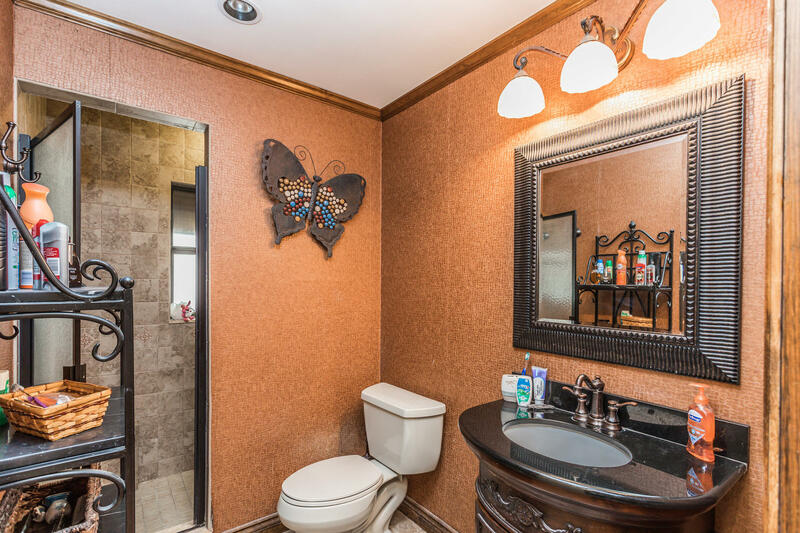 You've got to see this home in person!